T-Shirts are the go-to staples of most men when it comes to their casual outfits. But just because a lot of men are choosing this without any thought, you better start paying attention to the shirt’s color, style and fit. It will make a simple-looking shirt elevate into something versatile, sharp and cool. One popular mens shirt is the v-neck t-shirt. We have seen men on different television shows with different physical attributes wear a very deep v-neck shirt that show off their muscular pecks and chest. 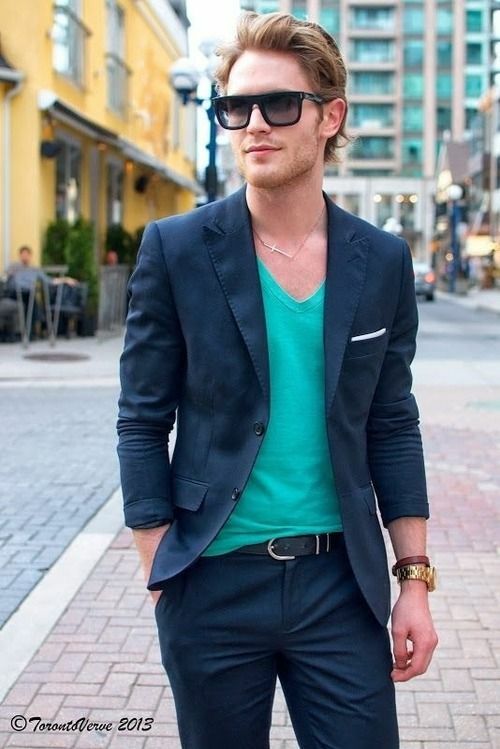 Below are stylish tricks you must know on wearing v-neck shirts. Never tuck in your v-neck t-shirt. Why even bother? It will look pretty geeky, but still, depends mostly on what type of shirt and pants you’re wearing. Pair your white v-neck t-shirt with denim. This look is simply classic. 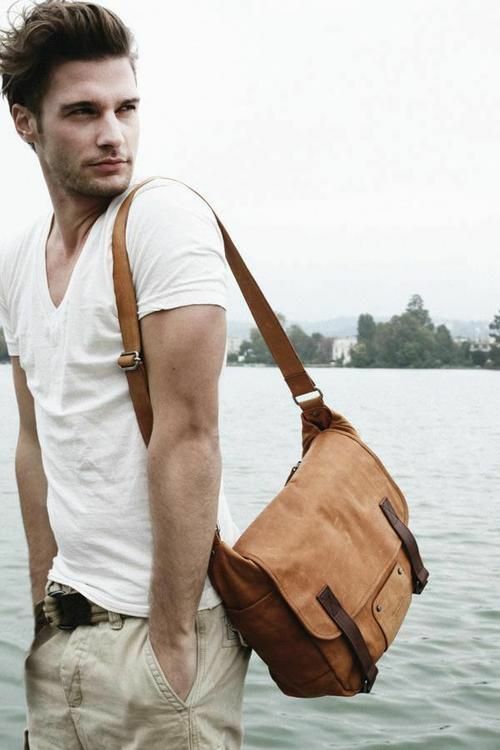 Alternatively, create a smart look by pairing your white v-neck tee with khaki. You simply can never go wrong with this one. 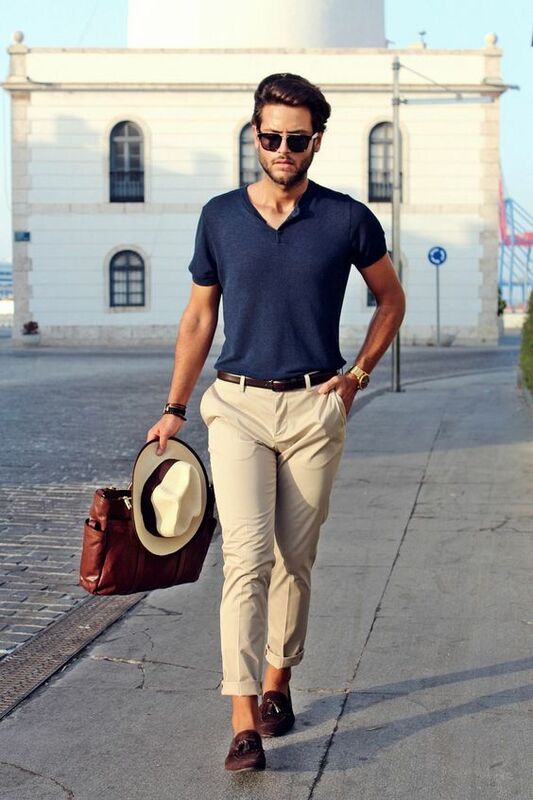 Pair your navy blue v-neck shirt with khaki. Instead of going for a blue-on-blue getup, a lighter bottom paired with a dark top is generally more stylish and pleasing to the eye. So instead of denim jeans, choose khaki trousers instead. 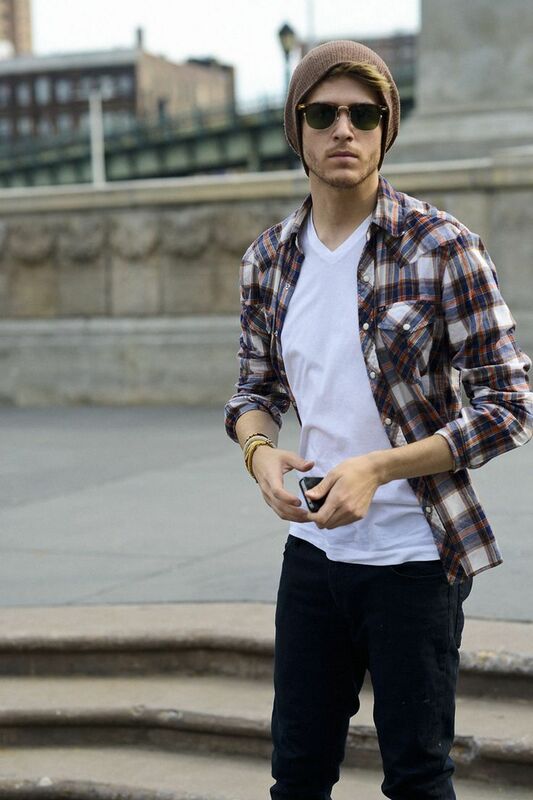 Sport a casual weekend look by layering your flannel shirt over your v-neck tee. To look polished and professional, opt for a sport jacket or blazer. A white v-neck shirt is a classic. The classic white v-neck tee will be a fashion mainstay and we’re pretty sure of that. You can create a plethora of wardrobe looks with this one shirt. The possibility is endless. Go black for a tonal look. The black v-neck shirt is always on trend and always so stylish, offering an understated look to a casual everyday getup. Pair yours with dark denim jeans and maybe some slip-on sneakers for an easy-going look. Simply incorporate style and comfort everytime. Add a bright or bold print over your v-neck tee. 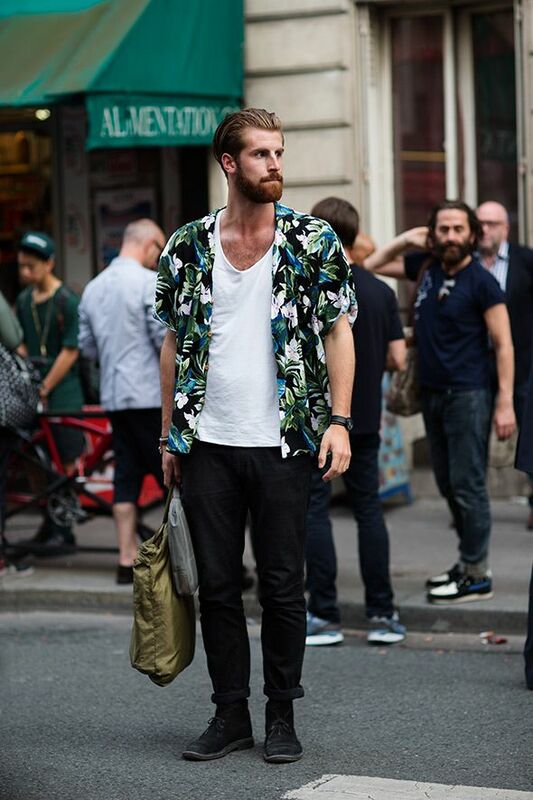 It simply gives a more fun and bold vibe sometimes when you layer a bright or bold printed shirt over your v neck tee. Don’t be afraid of adding color at anytime of the year. You don’t always have to wear the plain white or black shirt every day. Colored v-neck shirt is one of the many things that men avoid. You can simply tone down the color by adding dark pieces into your look. That way, whether bold colors or patterned, you will not go too overboard. Gray is a base color that’s easy to go around with. It’s effortless easy to come up with a stylish ensemble with all the different shades of gray. For instance, a dark shade of denim paired with trainers. You can also go with white jeans and loafers. A classic tee should not finish below your hips. The sleeves of your shirt should not cover half of your entire upper arm. The fit of your shirt should allow you to easily move around. Skin-tight shirts aren’t really attractive.